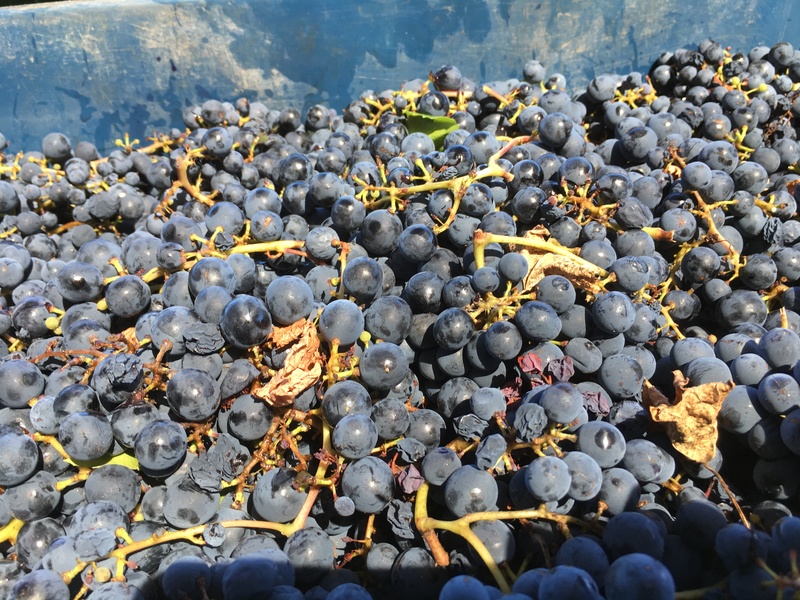 Home → Blog → Tempranillo: workhorse wine or thoroughbred tipple? Tempranillo: workhorse wine or thoroughbred tipple? Both the cheapest and most expensive wines in Spain are made from the same grape variety: tempranillo. It is now Spain’s most widely planted red grape, yet strangely it is seldom found outside of the country, except in Portugal. Tempranillo means “little early one” as it ripens earlier than garnacha, the other great grape of Spain. In Catalunya they call it “ull de lebre” (or eye of the hare) and in the Douro valley it is known as tinta roriz. If you buy an inexpensive glugging red from La Mancha, a vast swathe of flat land running south from Madrid, it will more than likely be made from cencibel, the local name for tempranillo. Yields here are high and prices low. The wines are generally scented, light and fruity. Provided they have not been subjected to clumsy oak treatments, they are among my favourite midweek wines. Pretty much every wine shop and supermarket will have one or more on offer at less than €15, and sometimes below €10. At this price, I prefer to avoid any labelled reserva or gran reserva as this means they will have been aged in oak barrels. Drink them with tortillas/frittatas, chicken dishes, paella with chicken and chorizo, tomato-based pasta dishes and pizza. In the cooler mountains in the north of Rioja, tempranillo tends towards elegance and poise. Grown in the right place, and with lower yields, it is responsible for some of the most wonderful long-lived (50 years or more) wines of all. Young rioja (known as joven) is usually exuberant and fruity, reservas and gran reservas will have been aged in oak barrels. Done well, it adds structure and complexity. Traditionally rioja was a blend of various grapes, but single-varietal tempranillo seems more and more common. West of Rioja, in the regions of Ribera del Duero and Toro, different clones of tempranillo are referred to as tinto país, tinto fino or tinto de toro. From very different climate and soils, these are powerful, ripe and muscular wines, a world away from rioja. The best, from producers such as Pingus, Emilio Moro, Pesquera, Hacienda de Monastario, Pago de los Capellanes and Alîon, are a very seductive mix of heady, sweet fruit, good acidity and ripe tannins. Match them with substantial lamb dishes, either barbecued or casseroles. As well as the Albali featured, SuperValu (which has a Spanish wine sale running until March 6th) has the San Jorge Ribera del Duero (€12) and if you want to try a mature tempranillo, try the Cune gran reserva 2012 (€15). Tesco has the oaky Campaneo OV Tempranillo for €8. Good independent retailers should have Canfo (€12), Albizu (€13) or a selection of riojas to try. Faintly floral aromas with light refreshing easy-drinking red fruits, and a tannin-free finish. By itself or with chicken dishes. Unoaked rioja full of mouth-watering, pure fresh black cherry fruits, with an earthy core and strong mineral element. A wine that will fill you with happiness and goodwill. Drink it with pork chops or lamb cutlets. Wonderful, impeccably balanced wine, with restrained, concentrated dark cherry and damson fruits, subtle spice, a lovely freshness and a long, clean, dry finish. Requires food: roast lamb or beef would be perfect. Sleek, smooth, powerful ripe dark fruits overlaid with spice. Very moreish. Try it with a roast of lamb or a well-aged steak.